CLOSEOUTS. 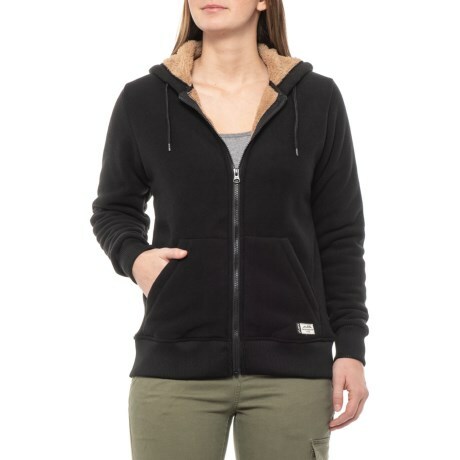 Get all the cozy feels when you wear Kavuand#39;s Harlow hoodie, crafted from soft microfleece and lined with plush sherpa fleece for ultimate warmth and comfort. Available Colors: BLACK. Sizes: XS, S.